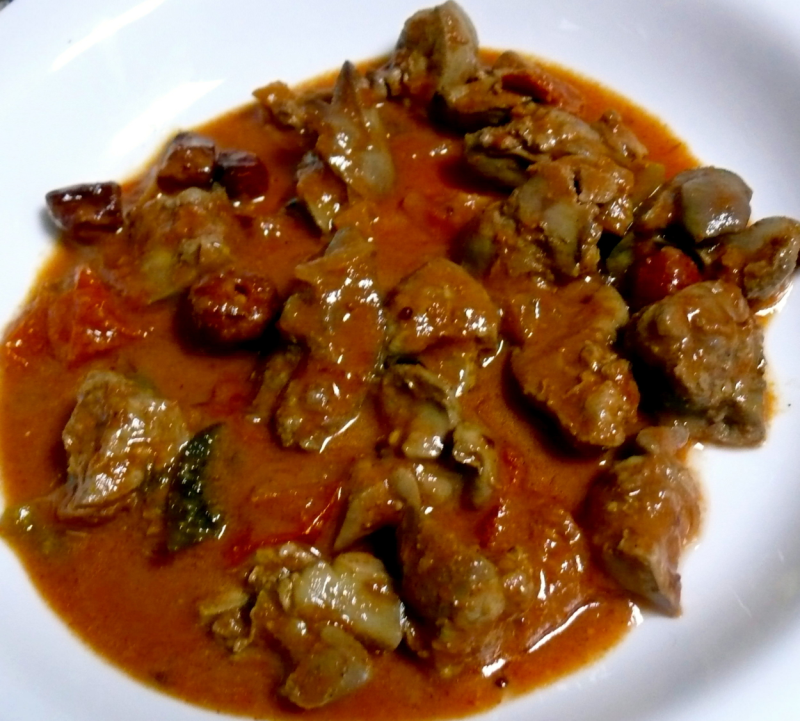 A very tasty liver curry cooked with masalas and tomatoes. You can do the Lamb Brain curry the same way. simply superb dish. Heat oil in a pan . put onions, curry leaves, coriander leaves, tomatoes and salt. saute for 2-3 mins till tomatoes begin to melt. Put chilli powder,ginger-garlic paste and chicken 65 masala (or) chicken tikka masala . Saute well till oil separates from the masala and put chicken liver pieces and add 1 cup water and cover with a lid. Cook for 5-7 mins till gravy becomes dry and keep aside. Garnish with fried curry leaves and chopped coriander leaves and serve hot. This dish will go with rice or chapathis. Chicken liver pieces -14-15 no.s and if u want it to be less spicy add 1 tsp ginger-garlic paste. Christie, Sorry but please give the measurement of main ingredients like chicken liver here, by weight instead of a CUP, your other recipes like a cup of minced mutton etc shown cup as measurement instead of weight. Because each of us have different shape and size of cups, moreover chicken liver like stuff occupy volume of the cup sometimes more vaccum in sometimes less. Please do not misunderstand my comments. Kind regards.